Intel's best i5 chip costs a little less and can be a bit faster for single-core applications and (even more for) some games, when software is optimised for Ryzen, AMD wins by a very long way. 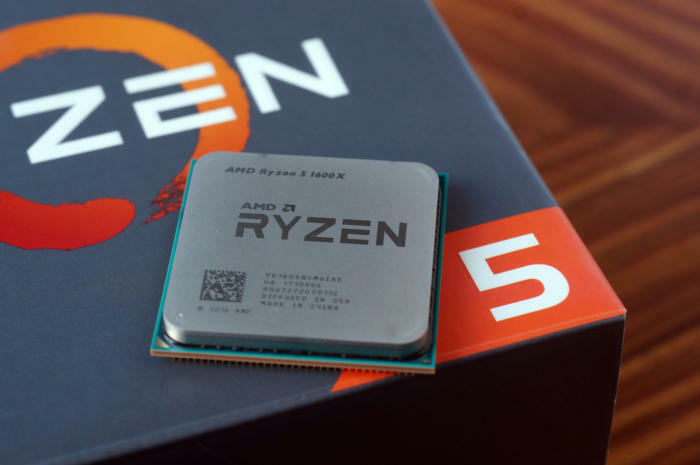 The $359 hexa-core AMD Ryzen 5 1600X processor is here to challenge Intel’s quad-core, $350 Core i5-7600K for the honour of being “The People’s CPU.” Everyone likes to read about expensive, gold-plated, $1000 parts, but in the real world, most people can’t or won’t spend that much and are looking for the best price-to-performance ratio. AMD’s Ryzen 5 1600X will compete head-on with Intel’s Core 5-7600K in the all-important $350(ish) CPU category. AMD actually announced four Ryzen 5 CPUs last month. 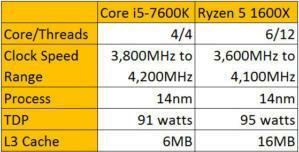 Two of them are quad-cores with SMT (simultaneous multithreading): The $245 Ryzen 5 1400 and the $275 Ryzen 5 1500X. The last two are six-core chips with SMT: The $319 Ryzen 5 1600 and the $359 Ryzen 5 1600X. The one of most interest to us is the Ryzen 5 1600X. With its list price of $359, it maps almost perfectly to the Core i5-7600K, which has a current list price of $350 but can be had for nearer $320 if you shop around.